Earlier this month detectives with the Combined Anti-Drug Task Force (CAT Team) received information that contraband was being introduced into the Calcasieu Correctional Center. 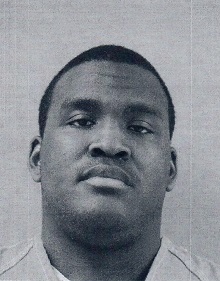 The investigation revealed on five different occasions Deputy Timothy W. Walls, Jr., 26, Lake Charles, was bringing approximately 3 to 6 packs of synthetic marijuana along with tobacco into the facility since December 2016. Detectives learned Walls had the contraband delivered to him at his apartment and would then bring it into the CCC when he arrived for work. Detectives also discovered one incident where Walls had the contraband delivered to him at the CCC while he was on duty. On March 13 Walls was arrested and booked into the Sulphur City Jail. He is charged with introducing contraband into a penal institution; conspiracy to introduce contraband into a correctional facility; and malfeasance in office. Judge Clayton Davis set his bond at $125,000. Prior to being terminated by Sheriff Tony Mancuso yesterday, Walls worked in the Corrections Division and had been with the department for approximately 5 years. The investigation is ongoing and more charges and arrests are pending.